High school graduation comes just once in a person's life. Get ideas for different types of parties to help celebrate this momentous occasion. 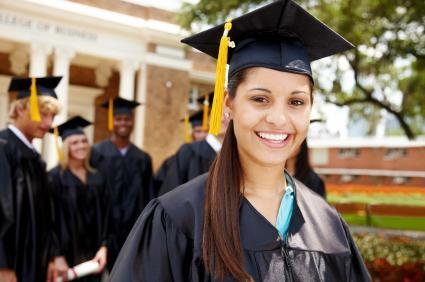 Graduating high school is an important step for teens. Whether these students are going off to college or entering the work force, their lives are about to change a great deal. Families can mark this important milestone with a celebration to honor the graduate. Some families may prefer to organize dinner parties to honor the graduate in a more formal manner. These are easy events to organize very close to graduation, particularly if the commencement ceremony is scheduled for the morning or afternoon. Treat the graduate to a formal dinner in a fancy restaurant. Have the party catered at home. Invite immediate family and close extended family members. 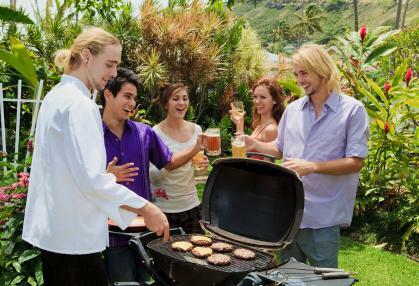 If you have a large family and want to get everyone together to celebrate, an outdoor barbecue is the perfect way to make it festive. You can provide the main course and beverages. Bring some of the graduate's favorite side dishes for a potluck. Share photos from throughout the graduate's life. 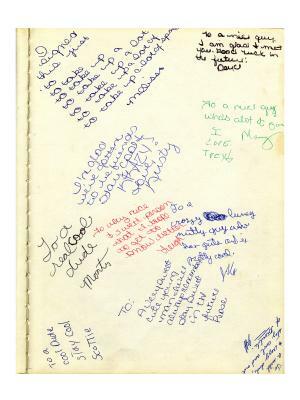 Sign a guest book or create pages for a scrapbook with their best advice for life after high school. A come-and-go open house is the most popular format for a graduation party, particularly when party guests may need to visit several events in one day. These are casual parties that usually offer a few light refreshments throughout an afternoon or evening soon after the graduation ceremony. The graduation party should be very memorable since this could mark the last time everyone is able to get together and have fun for quite a while. Get the group of graduates together and celebrate with one of the following ideas. If the senior class was especially close-knit, consider asking all of the parents of the graduating class to pitch in some money and rent a local hall. This will give the grads a safe place to have their party. Hire a DJ if funds are available, or ask the teens to put together their own play lists. Decorate with classic graduation themes such as diplomas, caps and gowns, and class photos. Set up a table with plenty of pens for yearbook signing. A time capsule party is a little less formal or structured, but it's an investment in future fun. The time capsule should be opened when everyone is together again for a ten or twenty-year reunion party. Decide where the capsule will ultimately be stored. Gather at a park or at someone's home for a potluck. Ask students to donate an item for a time capsule to represent their grad year. Display items before sealing the capsule. This classic all-night party is usually provided as a safe celebration for all seniors on the night of graduation. Students may need to report to the party location by a certain time, and they may not be permitted to leave until morning to ensure that students are not engaged in dangerous or undesirable behaviors. Some schools may charge an entry fee for students to attend, while others host the party for seniors free of charge. A yearbook signing party is typically held near the end of the school year, but before school is actually out. Some schools offer a seniors-only yearbook event to honor the soon-to-be graduates. Exchange signatures and share memories. Take last minute photos with special friends. Senior class trips are another rite of passage for graduation. A trip gives them opportunity to share the fun of a school-sanctioned getaway with their classmates. Chaperones are required. High school kids tend not to enjoy structured games and activities. They would rather just get together and enjoy each others' company. Have a lot of food and drinks available, especially if the party is for mostly male guests. Consult with your child before planning the party. He or she will likely want to have input on what will happen and where it will take place. Schedule the party to take place shortly after graduation since many kids will be leaving for summer jobs or family vacations. 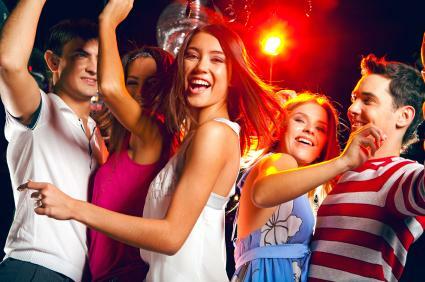 Graduating high school is an important step for teens, and any kind of graduation party is sure to make them feel special. Take plenty of pictures or record the event so that your graduate can hold on to these memories forever.